This meticulously documented expose gives the lie to the official CIA position that it had no relationship of any kind with Lee Harvey Oswald, alleged assassin of President John Kennedy. A former U.S. military intelligence officer for 20 years, Newman (JFK and Vietnam) relies primarily on newly released government documents made available within the last three years under the JFK Assassination Records Act, passed in 1992, which mandates that the U.S. government make available all its information on this case. Using CIA, FBI, military and American embassy files to reconstruct Oswald's activities from his 1959 defection to the Soviet Union up until his murder, Newman shows that the CIA was spawning a web of deception about Oswald weeks before the president's murder. For example, the agency has denied that it knew about Oswald's 1963 visits to the Cuban consultant in Mexico City, but Newman refutes this, using interlocking CIA and FBI cables and reports. 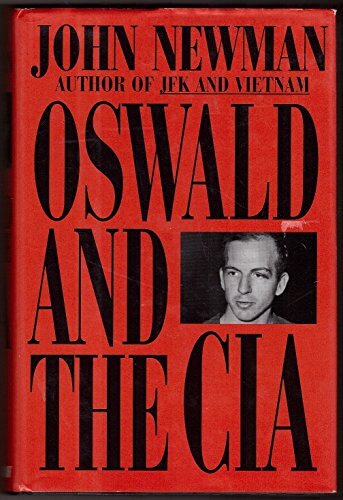 The evidence presented here, though fragmentary and based on heavily censored and edited documents, strongly suggests that the CIA had a keen operational interest in Oswald, that it kept tabs on him and that Oswald, either willingly or as a patsy, was deeply involved in CIA operations. CIA documents suggest that the agency had a hand in Oswald's defection to the Soviet Union and monitored his activities there and his return home in June 1962. This heavily annotated tome, which reads like an intricate spy thriller, serves as a corrective to Norman Mailer's Oswald's Tale.